Zuzu fancies that her superpower is a Protective Force Field. Anyone within her circle is protected against the effects of the Evil Eye and its curses bred from envy, greed, pride, and the other deadly sins... This is the same superpower that repelled both boys and muggers when she was a youth. I drew pictures of their superpowers. Zuzu's protective force field is shown above. And guess what -- it isn't wallpaper. It's a quilt! From the start, women made quilts to keep their families warm. They preserved and used whatever scraps of cloth they could find, including coarse grain sacks. How satisfying to generate an object that conserved body heat and stored warmth where no such object existed before. More appliques and more stitches made the quilt warmer and warmer and increasingly durable. But what happens when someone works so long and so diligently on a multi-layered quilt (as opposed to quickly stitching up a pair of trousers or a shirt)? Maybe there is a little softening of the boundaries between the maker and the made. An exchange occurs. Maybe it's just about the surface atoms and electrons bouncing around and mingling. Maybe it's about "spirit" or "soul," whatever that is. As the maker handles the porous cloth with her sensitive fingers day in and day out, her thoughts and feelings become tangled in the threads. Little emanations of her spirit radiate out. But what about the other direction? Don't clothes pick up flakes of soul (like dandruff!) from the wearer? And worn-out clothes used for quilts -- they must carry a lot of juju and radiate back toward the maker. Even new cloth contains soul flakes from sheep or cotton plants and ultimately rays of sunshine and moonglow. If quilts are made in such an intimate process, surely they become sanctified. In spiritual traditions around the world, shamans, folk healers and priests sanctify and enliven protective amulets, powerful talismans, and magical fetishes. Why shouldn't ordinary makers, by dint of their own strong virtues, be able to imbue their "mades" with powers? And be themselves made more powerful in the process? I'm thinking of old-fashioned quilting bees too, where women combine their individual powers in a joint effort to care for their community. Even now quilting guilds (often at churches) are busy working together to make quilts for premature babies, homeless families, and veterans. They must have a strong belief that their quilts are not ordinary gifts -- a fleece blanket made in a Chinese factory could keep a person just as warm. They must believe their lovingly crafted quilts offer special protection to those they cover. Those who sing while they quilt, like the women of Gee's Bend, Alabama (definitely watch this video), surely also belief that their voices continue to inhabit the quilts as if the cotton fabric was an old wax cylinders on an early recording machine. I like being in tune with that vibe. I like the Zuzu Power. 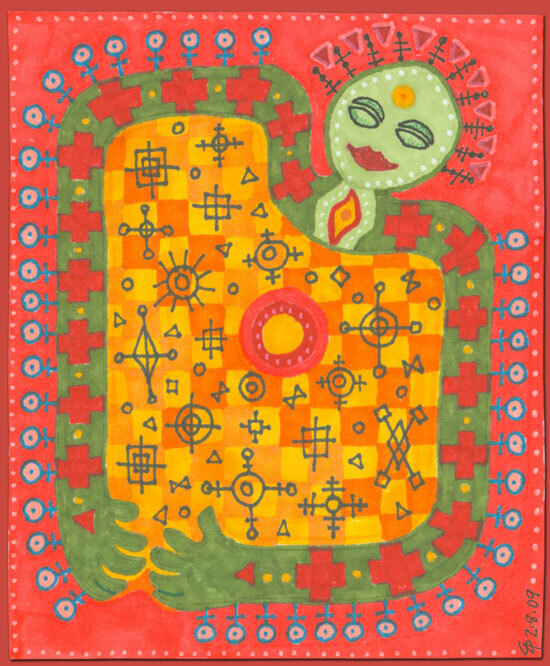 *I know men make quilts, but I'm speaking in the cosmic sense -- the "divine feminine," if you will.